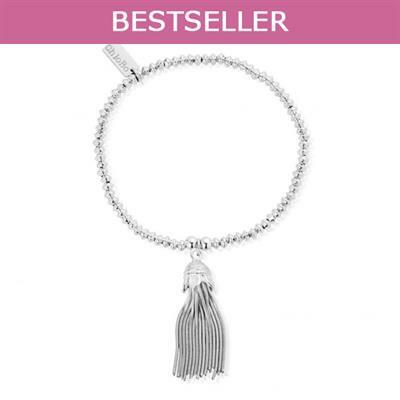 This tassel bracelet Chlobo is beautifully crafted with 925 Sterling Silver with a string of mini discs. This striking design features a Sterling Silver Tassel charm that will sadd texture and dimension. The tassel is used a symbol of protection, it is believed that its liquid like movement will confuse and distract evil and negativity.